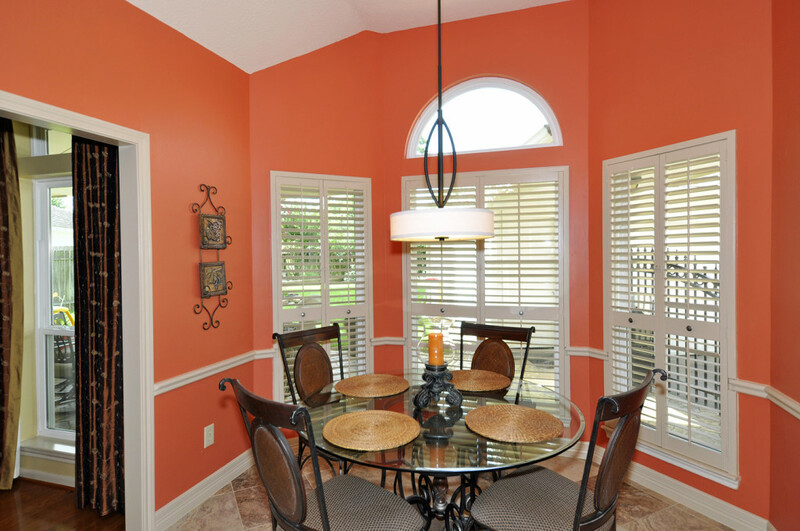 By choosing a vibrant paint color for the walls, the homeowners create an atmosphere that is inviting for family and friends. 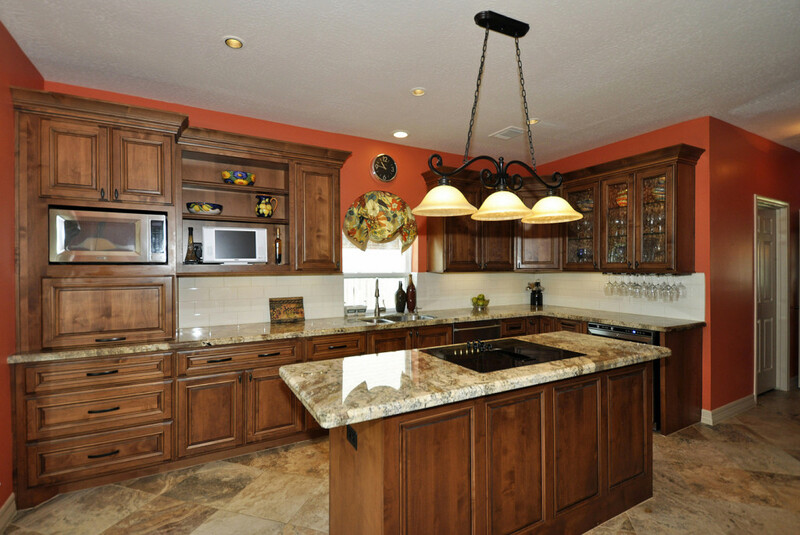 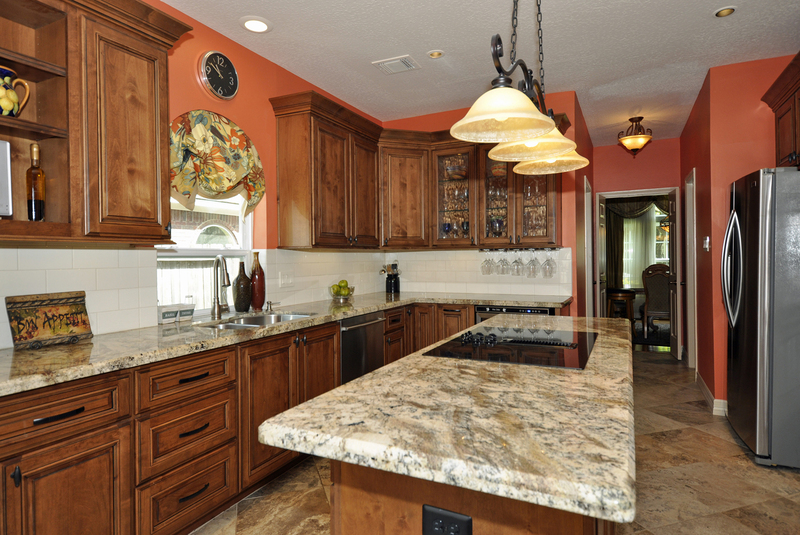 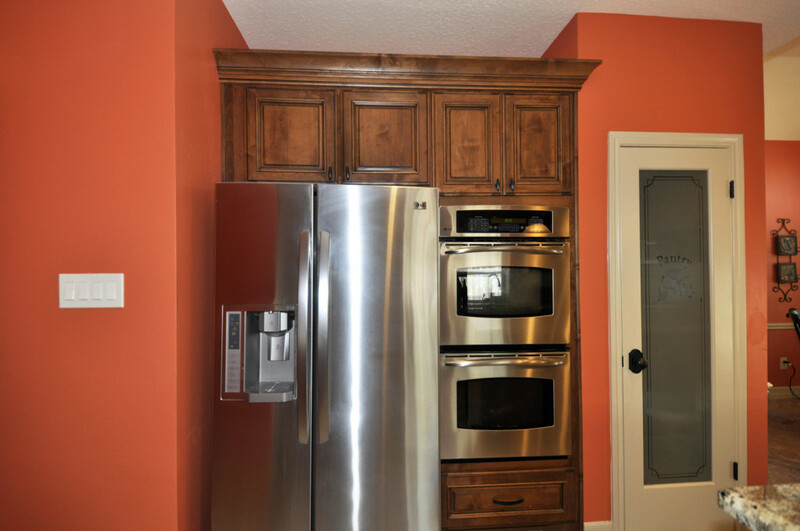 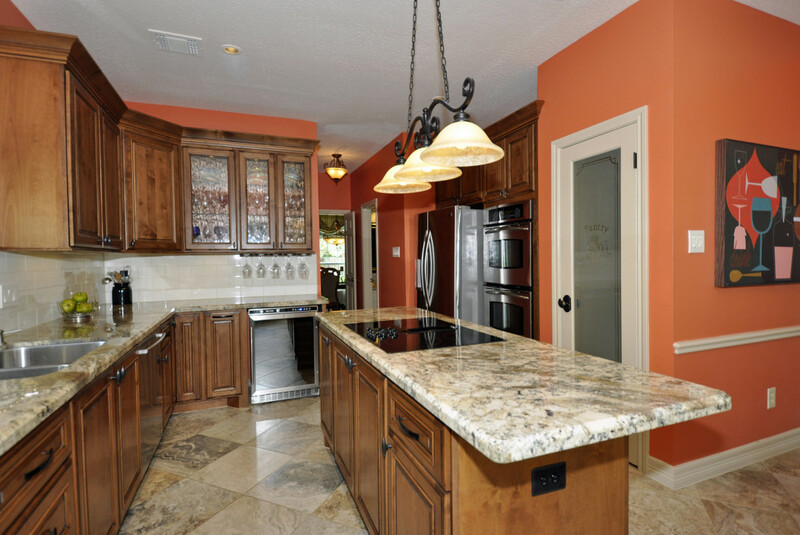 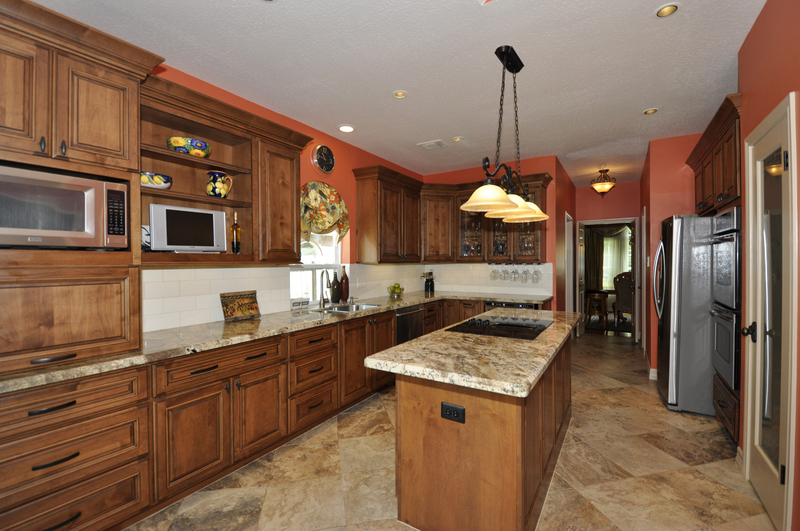 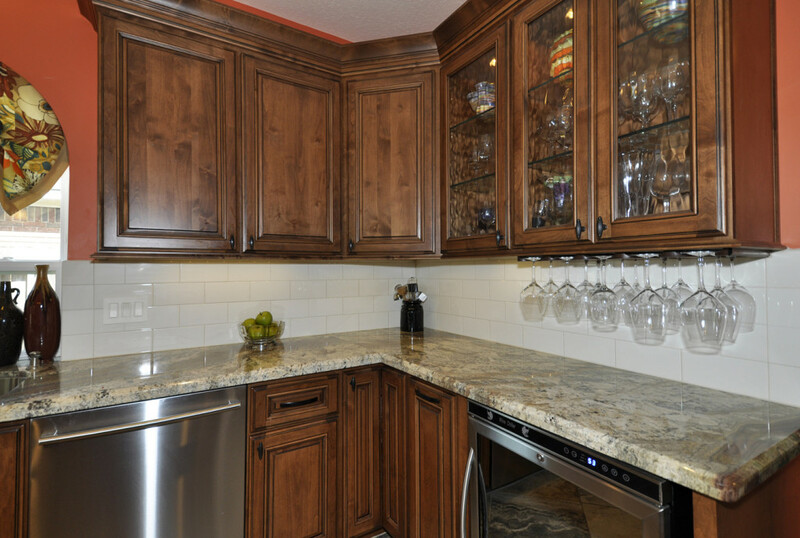 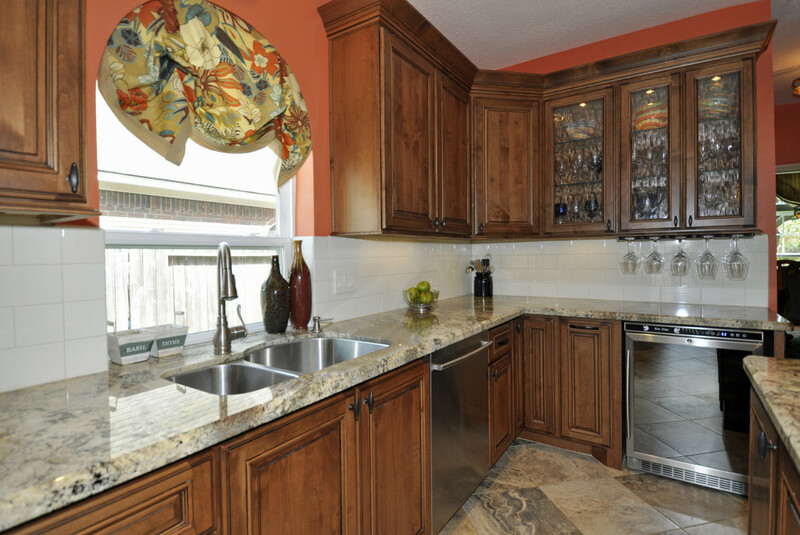 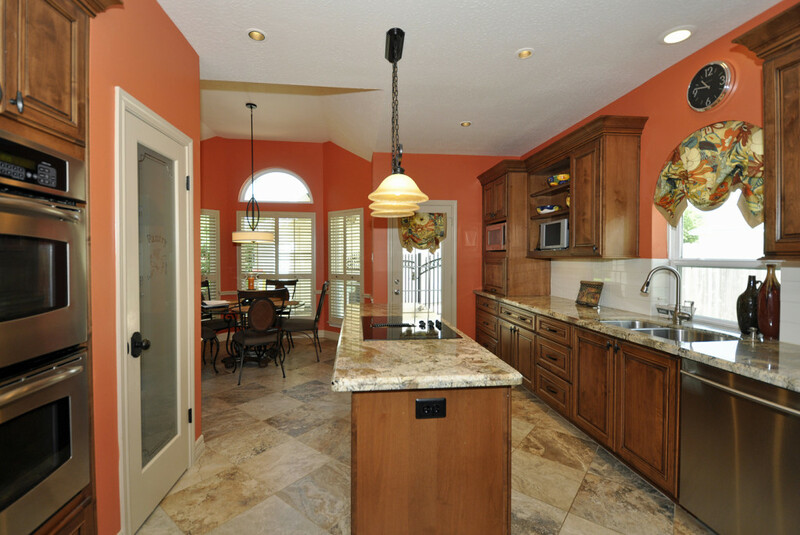 The combination of new cabinetry, countertops, backsplash tile and floor tile provide a warm foundation for the room. 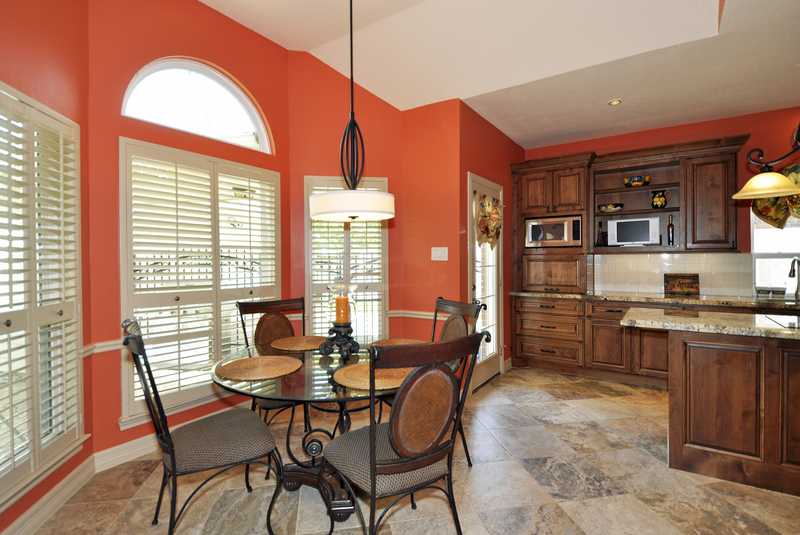 The same floor tile was installed in these two rooms that connect to the hallway leading to the Dining Room. 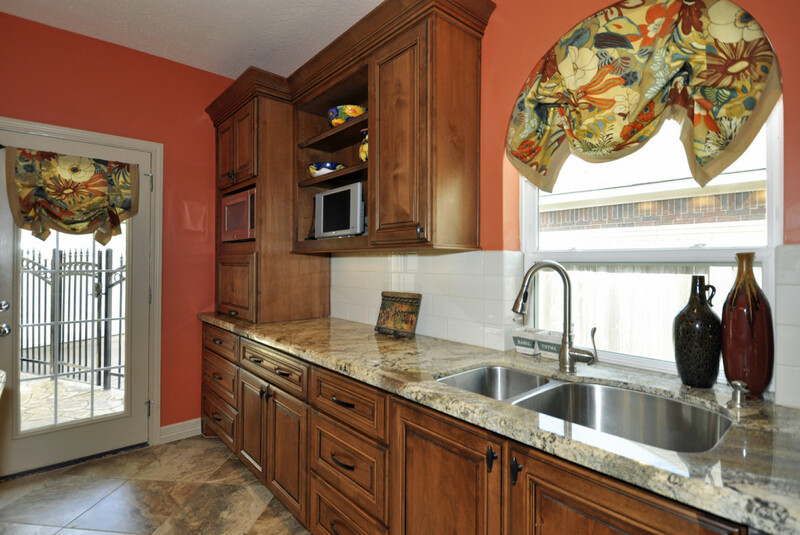 New countertop, sink, faucet and commode were installed in Powder as well.